The Matt Flinner Trio has mastered the craft of composing music “on the go.” The group practices a unique approach—writing in hotel rooms, dressing rooms, on airplanes and in the back of tour vans—and debuting the new pieces the same night. 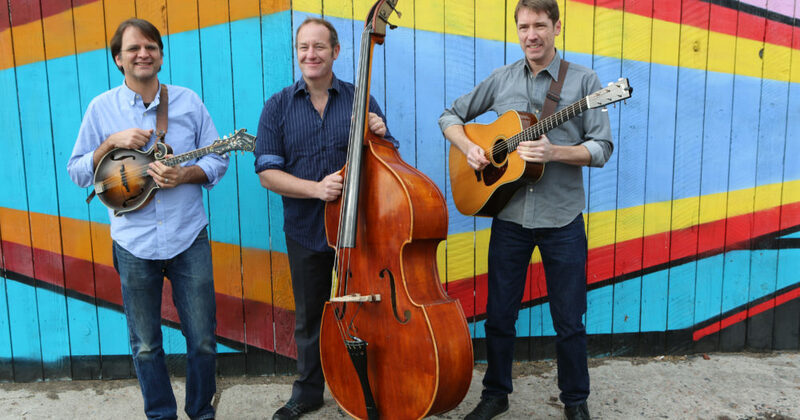 Sonically founded in bluegrass, jazz and American acoustic music, the virtuosic collaboration between esteemed mandolinist Matt Flinner, guitarist Ross Martin and bassist Eric Thorin, is a finely tuned composition machine. Now with over two hundred tunes in their repertoire, the trio will release Winter Harvest this January 31st, a road-crafted sequel to their 2009 release, Music Du Jour. Stylistically, the group is self-defined as “deeply-rooted new acoustic music,” a GRAMMY-nominated mandolinist Matt Flinner has made a career out of playing acoustic music in new ways. Whether it’s with his own Matt Flinner Trio or with Phillips, Grier and Flinner, the Frank Vignola Quartet, Darrell Scott, Steve Martin, the Ying Quartet, Tim O’Brien, Leftover Salmon or the Modern Mandolin Quartet, Flinner’s style and compositional ability have established him as one of the most accomplished and musically diverse mandolinists in the world. Starting out as a banjo prodigy who was playing bluegrass festivals before he entered his teens, Flinner later took up the mandolin, won the National Banjo Competition in Winfield, KS in 1990, and won the mandolin award there the following year. 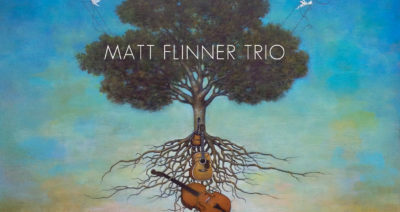 Matt now tours regularly with the Matt Flinner Trio, which is known for its off-the-cuff compositional daring, writing music the same day it’s performed on most of their shows. He also tours regularly with the Modern Mandolin Quartet, which was nominated for three Grammy awards for their CD Americana in 2013. Over the last several years, Flinner has become known as one of the leading writers of instrumental music in the acoustic world, and his background in classical composition has led him into new avenues in both classical and string band music. Some of Flinner’s longer-form compositions have been performed by the Ying Quartet, the Nashville Chamber Orchestra, Chatterbird, the Expedition Quintet and the Modern Mandolin Quartet. Flinner currently lives in Nashville, TN.